Finally, years after being published in the United States, FIRST TRUTH will be released in Germany. Without giving too much away, how would you describe your TRUTH-Series to new readers? FIRST TRUTH is a coming-of-age story of a strong-willed young woman, forced to come to an understanding of herself and her world in order to survive. It takes place in a pre-industrial society, where magic rules instead of technology. Was FIRST TRUTH the first book you’ve ever written? And how long did it take you? Actually, FIRST TRUTH was the first thing I’d ever written, but I spent a long time on it, several years, in fact, brushing up my writing skills. It started as a huge manuscript, which I had to divide up into two volumes before it found publication, which is where the second book, HIDDEN TRUTH, came from. I’m going to guess I spent five years on it with rewrites before it found publication. Did you know right from the start that it would become a series of books? 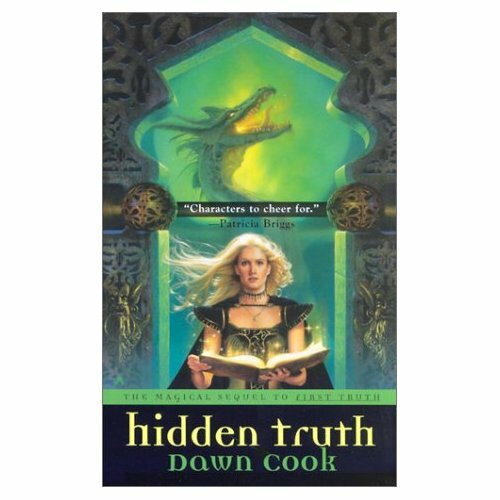 I sold the FIRST TRUTH as a two book series, and at the time, I had hopes of more volumes, but as a first-time novelist, I tried to keep the story lines short in case I had to end it with the first two. You told me in your eMail that you really like the cover art of the German edition of “DIE ERSTE WAHRHEIT”. How important do you think is cover art nowadays? Cover art is very important in helping the reader find what they are looking for. The old saying, “you can’t judge a book by its cover” is true, but when attention is being paid to the cover art, it is a good guide line for readers. 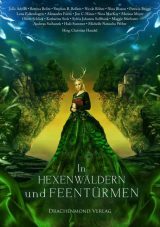 By looking at the cover of “DIE ERSTE WAHRHEIT” it’s a pretty good guess that the story is about a young woman, and the mysterious pendent tells the reader that magic is involved. 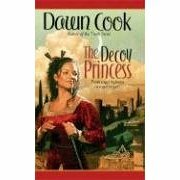 I really enjoyed THE DECOY PRINCESS very much. This just was an interesting idea and I think you handled the “daily travel life” of Tessa really well! 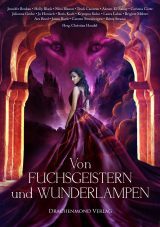 So this might be a little bit early but do you know if your PRINCESS-series will also get translated into German language? Thank you! I’m glad you enjoyed THE DECOY PRINCESS. I think it’s one of my best pieces of work. I don’t know at this time if it will be translated, but I am hopeful. Do you think readers are different in different parts of the world? I think that yes, different readers expect different things from their books, and much of that is cultural, but the solid story of a honourable character striving to survive against odds and win over the “bad guy” is common to all people. Pretty much everyone wants the hero to win, and happy endings are welcome everywhere. It’s really hard for me to pick out favourite scenes, but there is one scene that comes in a future volume of the Truth series that makes me cry, a memory under the trees of lost love and an abandoned chance at happiness. 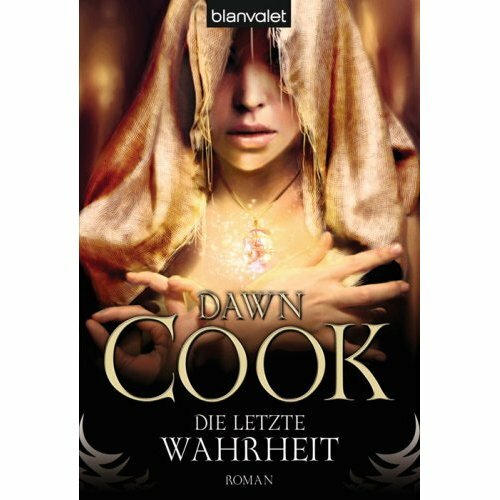 What else is planned from the author Dawn Cook? Any new novels or short stories or something like that? Right now, I’m taking a break from new titles coming out, but you never know what the future might hold. I enjoy learning about a new character the most. Many authors learn about their character before they start to write a new book, spending time developing character descriptions and personality quirks, writing out their history and their family. I like learning about a character as the reader does, bit by bit, as the story needs the information. It’s this discovery that I enjoy the most, having a character that I think I know surprise me with an odd thought or reaction. What do I hate the most? This is a hard question. I simply love the entire process, even the hard parts. Absolutely! I am of the opinion that one of the reasons people read is to give them different ways to see the world and make decisions on what kind of person they want to be. I enjoy bringing some of the same issues people deal with every day into my work, issues like prejudice, sacrifice, and grey areas of morality. No one likes to be lectured to, but seeing them in fiction lets us, the readers, see some things clearer. In my experience, it’s rare that a publisher will demand that a writer change something, but most writers are grateful for constructive criticism, and I can count on one hand the number of times that I’ve not fully thrown myself into every suggestion that my editor has made. I’ve made big changes, and seen big improvements. A writer, especially a new writer, needs to remember that their publisher probably has a closer eye on the publishing market then they do, and he or she knows if something needs to be changed so it doesn’t mimic another authors work (even unintentionally) or if there is a tighter way to write something so that it is more effective. FIRST TRUTH was the very first thing I’d ever written beyond assigned essays in high school. I had no idea that I had a talent for writing until I tried it. However, I read voraciously, and I know that I leaned heavy on the authors that I enjoyed for my pacing and story-telling styles. It took me many years of rewriting First Truth first for myself, and then my editor, for me to have something that was worth the shelf, but I don’t begrudge the time spent at all. I’d love to sit down and have a cup of tea with Alissa and ask her if she was mad at me for all the stuff I put her through and if it was worth it. I hope she’d say yes. 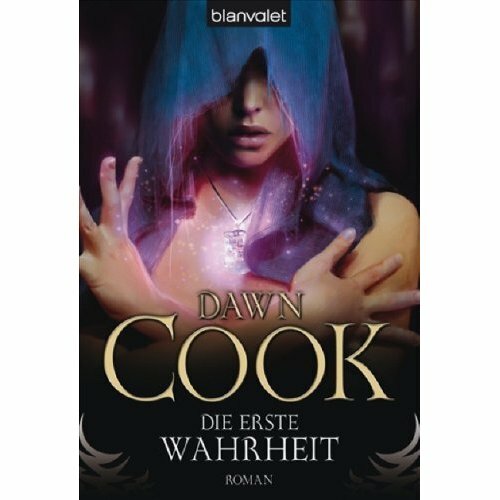 You can find Dawn Cooks Website here. There you can also find excerpts from her various novels.